Backlinks are still one of the key factors to help you climb up Google rankings. Guest posting falls into the second category. It’s a process that’s pretty cheap, helps you build relationships and can land you great links. No wonder that 2 out of 3 bloggers write guest posts. That being said, guest posting is not easy. Especially finding new guest post opportunities. In this article, I’ll share the best techniques to find blogs and websites to guest post on. Before diving into the process, let’s take a look at three important factors that influence the strength of the backlinks in general and guest posts links in particular. Sure, the number of backlinks you receive is an important ranking factor. But quantity isn’t the only parameter here. To identify spammers, Google also takes into account the relevance of the link. Domain relevance: is the website you received a backlink from in the same niche/industry as yours? This is what Majestic’s topical trust flow may help you to evaluate. Page relevance: does the content of the page where my link was placed has anything to do with my own website and linked page? Finding the best website to guest post on means you should make sure it belongs to the same industry/niche as yours. It also means that your post needs to be about a topic that’s closely related to your industry. Relevance is one factor, authority is another. Google gives each website a specific authority score. The authority score of the referring website is taken into account to give a weight to each backlink that you receive. To put it simply, a relevant backlink from an authoritative website such as The New York Times will have a much bigger impact than a link from a small blog. Even though its exact formula is kept secret, a few players in the industry provide estimations of this score with different SEO metrics. Before contacting the author of the website, make sure its authority is sufficient to have a positive impact on your SEO. Don’t forget to use a domain authority checker to quickly evaluate the strength of websites you plan to outreach. In Google’s eyes, there are two kinds of outbound links: dofollow and nofollow links. In short, any link with the rel=”nofollow” parameter will not pass the authority to your website. So before reaching out to a webmaster, make sure the links inside the guest posts don’t contain the nofollow parameter. In Google Chrome for example, you can do that easily by inspecting the link. Is the website in the same niche as yours? Has the domain a high authority? Now you’re ready for the next steps: finding the actual websites to contact. One of the easiest ways to find websites that accept guest posts in your niche is to spy on your competitors. They’ve already done the hard work! You just need to follow their steps to find the right websites. 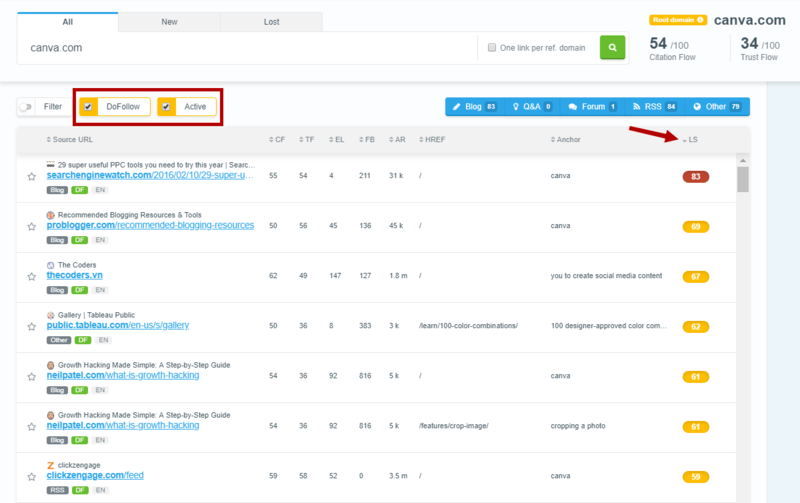 Using a tool such as Linkminer, you can explore the backlinks your competitor has received. Of course, we don’t want all the backlinks, but only those that are dofollow and from high authority domains. Linkminer offers two options that allow you to select these websites only. First, you can use the “dofollow” filter so you don’t waste your time with nofollow links. Then, you can sort the backlinks by Link Strength to show only the most authoritative websites. Will these links be relevant as well? We can assume that they will, since your competitors received links from them. Of course, the final decision is up to your consideration. “I saw that you mentioned this topic on your blog in this specific article. 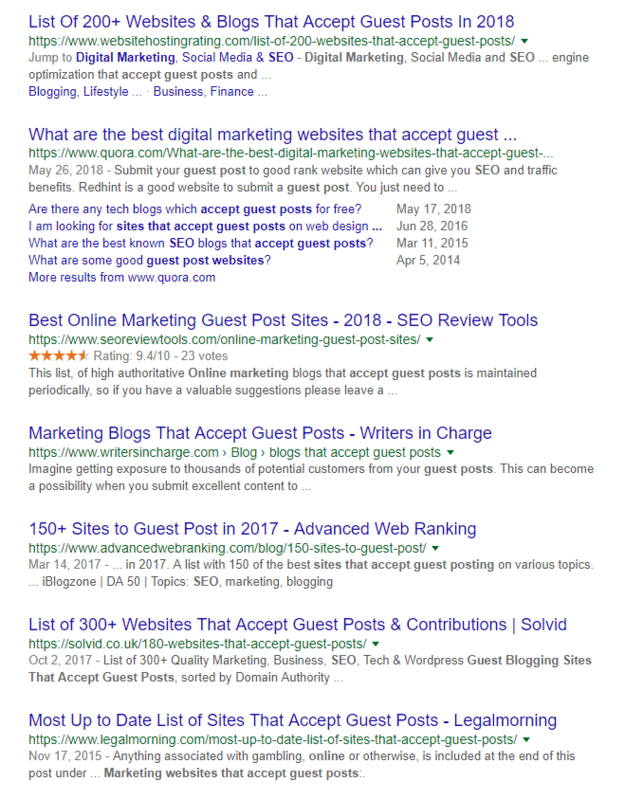 I’m an expert in this field and I’d like to share a different angle on the topic”… It shows you’ve read their blog and will increase your chances to land a guest post. This is one of the most overlooked techniques and also one of the most simple and efficient. If you already have a relationship with some people or businesses, they’re more likely to accept a guest post from you as they know you and (probably) want to maintain the good relationship with you. And as they operate in the same industry, the link will be very relevant. There’s nothing else to add. It is definitely worth a shot. Let’s start with a quick explanation. Search operators are search strings that you can add to your query to find specific websites. The following list includes popular search operators used to find possible guest post opportunities. To maximize the relevance, combine them with a specific niche keyword. For example, if I were to look for guest post opportunities for an online marketing tool, I would combine all these search operators with “online marketing” and would search for “submit post” online marketing, “bloggers wanted” online marketing, etc. You can do these searches manually, or you can use Scrapebox to automate the process (the website looks shady but the tool is actually safe and super useful). Once your list is ready, extract the root domain for each link, remove duplicate domains and rank the websites by authority. This one is easy. Some people have already prepared the lists of websites that accept guest posts. To find them, simply look for “websites that accept guest posts” on Google + your industry. It may look easy, but it may be tricky. The websites included in these lists often receive tons of guest post propositions. You’ll have to write a very convincing guest post outreach email to stand out from the crowd. The 4 techniques I shared so far are good to create a static list to start from. 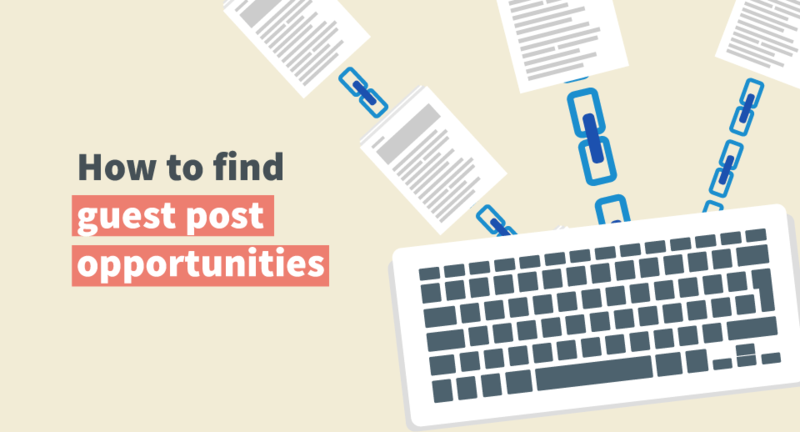 But what if you want to grow your guest post opportunities list over time? Monitoring specific keywords can help a great deal. First, because it can help you spot your competitors’ new guest posts and apply technique #1 in real-time. To do so, simply monitor your competitors’ name. It can also help you to spot the websites that talk about topics related to your service. In my experience, reaching out to these websites with a guest post proposition related to a topic they recently mentioned works pretty well. To do so, monitor 4-10 keywords related to the service you offer. Now, what tool can you use to do it? I personally use Mention. But there are alternatives such as Google Alert (not so great in my experience), Awario or Brand24. Once you’ve applied these 5 techniques, you should come up with a pretty long Excel sheet. Don’t get discouraged! Prioritize by relevance and authority (the authority being the most objective factor). Then, it’s time to contact these websites. Good luck! Greg is in charge of SEO for WisePops, a SaaS solution that helps marketers design website popups. 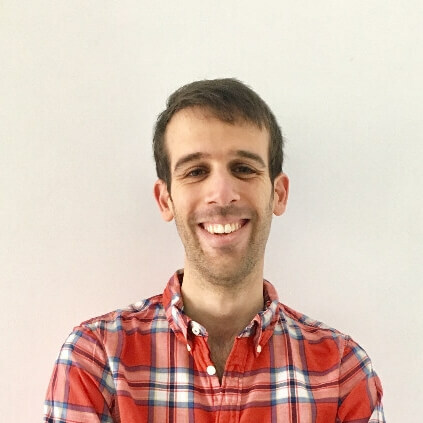 Before joining WisePops, Greg worked at Rakuten, Amazon and Doctolib.